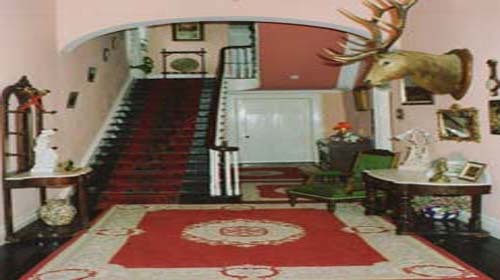 The castle has been owned by numerous families over the years. The present owners are Pat and Maria Collins who bought the property in 1995. The family have spent several years renovating the Castle to ensure that it offers tourists a totally relaxing and tranquil break. It was their priority to adopt a sensitive approach to the restoration project, ensuring that the Castle retained its historic feel while providing all modern conveniences. The family currently farm extensively on the estate. Killaghy Castle is situated 300 yards from the village of Mullinahone, Co. Tipperary, and is ideally located for touring the South East of Ireland. The property has beautiful views and is perfect for a relaxing or active break. We accommodate a total of 23 people. The castle is a perfect venue for family gatherings, reunions, celebrations, wedding parties, and golf outings (we are a short distance from Mount Juliet golf course). The main castle and the three-bedroom self-catering unit are both 4 star accommodation, approved by the Irish Tourist Board. The self-catering unit is also available to rent. Killaghy Castle is a historic Norman castle dating back to 1206. It was originally a Motte and Baily (a man-made hill of earth with a fortified wooden house on top). The Baily was usually a raised platform of earth adjoining the mound and enclosed by a wooden stockade. Later in the 15th and 16th century, a tower house was built. The tower house was a tall slender castle of stone, and was built primarily for defence. The living quarters were structured one over the other. During Tudor times in the 16th century, a long house was added. The 18th century saw the construction of two further buildings forming the structure of Killaghy Castle as we know it today. The castle has undergone extensive restoration, preserving the historic atmosphere with the sensitive integration of modern comforts. Stone buildings at the back of the castle date as far back as 1400 and have been tastefully restored and converted into self-catering units. A separate dining room with a large table comfortably seats 16. The lounge seats 16. 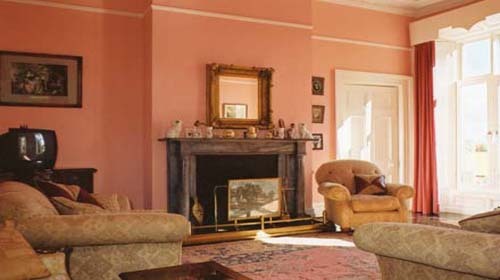 It is furnished to ensure that guests can soak up the traditional atmosphere of the castle, with a large fireplace. An open turf fire is always burning during the winter months, providing guests with a warm and cosy ambience. 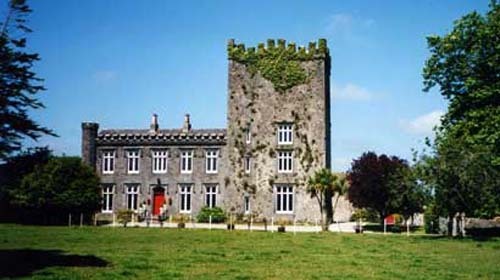 Killaghy castle is set in a mature 240 acre estate. Poets from worldwide destinations come to visit for the Kickham festival held annually in August. Poetry reading takes place at this time in the walled garden of the property, and is a real delight to experience for Killaghy castle residents. A large terrace area equipped with seating is perfect for barbeques during the Summer months. Two tennis courts are located at the entrance to the castle, ideal for guests who like to exercise during their stay. 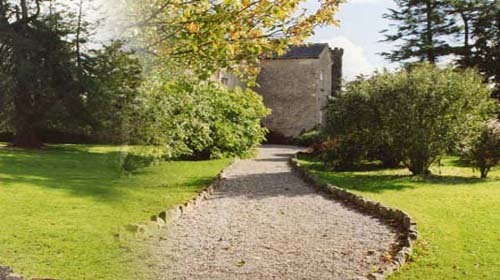 Killaghy Castle is situated in a serene location, 300 yards from the rural village of Mullinahone. · The closest international airport is Waterford, and is a distance of 35 miles. Castles In Ireland. © 2019 All rights reserved.